Thank you for signing up with Expert Agent. We hope you will use Expert Agent for years to come and that it will become integral to all aspects of your business, making you lots of money. We're a team of 30+ people - a mixture of ex-estate agents, support specialists, software developers, website designers and account managers. 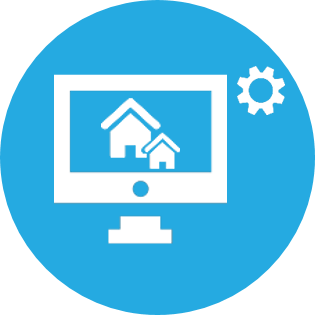 We all live and breathe software and websites for estate agents. We work long hours to make the product as good as possible and provide the best possible support. We've brought you to Expert Agent's Learning Centre which is a single help resource full of manuals, FAQs and videos. Learning Centre is easy to navigate - there's a menu at the top, a sub-menu on the left, a great search box at the top and anything underlined is a link - it will jump you to somewhere else. Expert Agent is just common sense. if you've used one of our competitors' products you'll know the sort of things you can expect it to do. Our pricing structure assumes that you'll do the product configuration yourself and bully your staff into doing our free training courses so that they can "drive" Expert Agent properly. Our support grows as your skills develop. Do our training courses (live or on YouTube) and take the little tests at the end and you'll find that we offer you "one-to-one" live training sessions over the internet. Don't do the training and we'll introduce you to the concept of RTFM - "read the flippin' manual" - or in our case probably more like "watch the video!" If this doesn't suit, we'll happily come on site and do the configuration, the training, the handholding etc etc but you'll pay lots for it - see our Chargeable Training article. The snag is, though, that we can't hope to get to understand your business in a few hours - we'd need to spend a couple of days with you and that gets expensive. So, dedicate a couple of days of your time or that of a good trusted employee to go through the 10 steps of implementation detailed below and it will pay dividends. Start with the video below.  Getting Started - watch the "Welcome Video"
We used to send a printed "Implementation Pack" that nobody read! Instead, we've made it into a "flipping book" and you can view it online or print it. 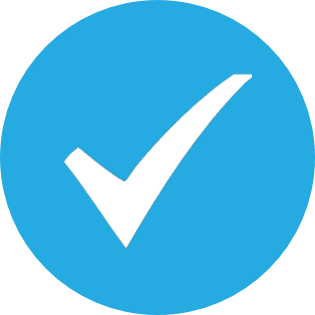 Most of it just reiterates the points in the video but there are two very useful check lists at the end that you can use to test whether you are ready to "go live". Nikki, Rosy and Melissa are our Account Managers. It is their job to help you through the Implementation Process. They deal with all process and business matters. Neil Hedges, our most experienced product and technical specialist focuses on new members in the "Implementation Zone" as we call it. When you first sign up, Nikki, Rosy or Melissa will email you a link to this article and your login details. 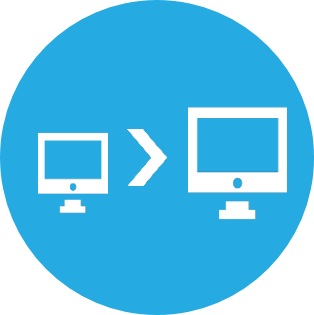 You can then create login details for your staff as required. We'd like you, the boss, to go through the 10 steps of implementation properly but if you are really anxious to get going or you want your staff to get some Expert Agent experience quickly, there's a New User Quick Start article. It is aimed at yours staff, not you the boss though. 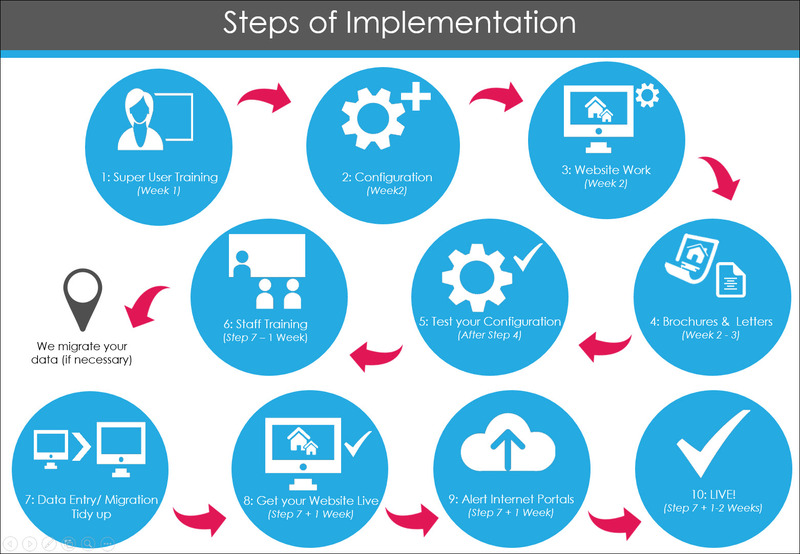 We think there are 10 steps to implementation. They are detailed below and are discussed in Verity's video. Before you the boss can even start to think about configuring Expert Agent you need to know what it can do and how to use it. 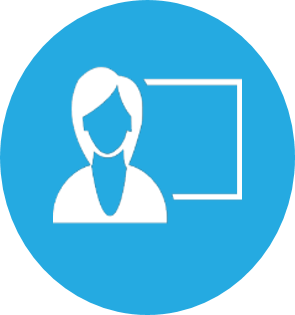 You need to book yourself or your nominee (someone you trust to make configuration changes) onto our Introductory Training Courses – 4 hours of either live or video based training. If you want to use Expert Agent's Lettings Financial module, you or your nominated superuser will need to do our Lettings Training and Lettings Financials Training courses and do the little quiz at the end so we can see you've understood it before we'll switch it all on for you. Once you or your nominee understand what Expert Agent can do and how to drive it, it is time to configure the product to suit your needs. 80% of this is already done for you but you will need to think about the way you classify applicants, the geographic areas that you work in etc. 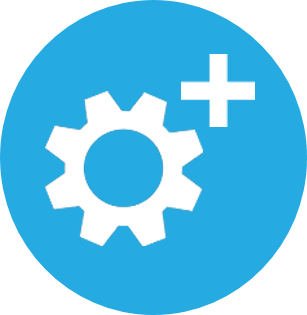 Please follow the link below to our Configuration Guide and have a go at getting everything set up. 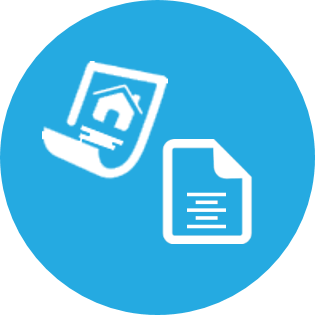 If you want to use Expert Agent for Lettings Financial, have a look at the article entitled Why can't I see the lettings finance functions? New Member firms get up to 2 hours of one-to-one time with our product specialists and trainers. You might need to use some of this time to get help reviewing your configuration. 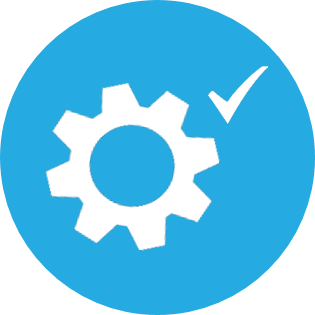 Once you have completed your Introductory Training your Implementation Manager will be pleased to arrange a one-to-one configuration review to make sure you have everything set up perfectly.They should call you - if not, please call them. We’ve provided lots of MS Word based standard letter & brochure templates already preconfigured in Expert Agent. You can use and modify these to suit your needs and requirements or you can create your own from scratch. If you’re moving from another product, you need to get all of this set up perfectly before you let your staff loose on Expert Agent – if the things they’ve been used to in the previous software don’t work out of the box by the time you make them move to Expert Agent, you’ll have a riot on your hands. 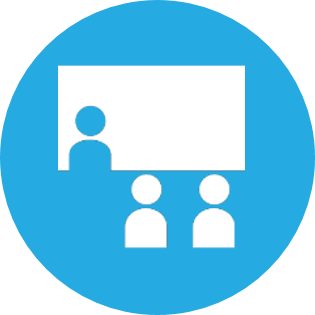 We strongly advise that someone in your organisation attends our Letters Training Course - details via the link below. Again, you can use up some of your 5 One-To-One hours getting us to do a review if you would find it helpful. This is an important bit and should not be overlooked - Enter a dummy valuation, turn it into an instruction, make sure it does all of your outputs (brochures, letters etc) correctly. Price Change it, withdraw it. Put it back on. Does it appear correctly on the draft your web site people have sent you of your updated site? Make viewings, make offers, do all the letters. Sell it, do an invoice, mark as completed. If you need additional guidance at this stage, let us know. Please ensure you are using our training account to add your dummy data - Tools>My Profile>Add me to training. Make sure everyone does our initial 5 hours of Basic Training. If they don’t do it, they’ll struggle and you’ll have extra drama and hassle. They can do it live (over the web) or do the YouTube video based training. Either way, they get a certificate so make sure you ask them or your account manager here to show you their test scores. 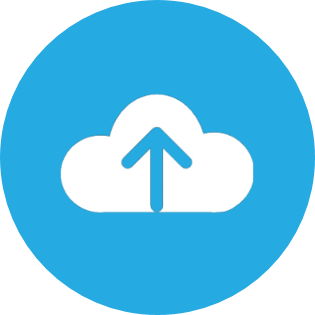 If you have asked us to migrate data from your old software, this is when we plan to do it. You’ll then need to tidy up your data and that can take 5 minutes per property. When possible we try to do this migration whilst your staff are being trained to minimise disruption. For more information on the migration process please have a look at the following link. If we are not migrating, this is the point at which you need to get those properties into Expert Agent. Please note that although we are able to migrate most of your data from your old software we are unable to transfer any lettings financial transactions to Expert Agent - please visit this page for more information: Moving your financial data to Expert Agent. You can’t do this till you have all of your properties set up and live. When you are ready, contact the portals directly and ask them to set up the feed at their end. Expert Agent then sends a confirmation request to you by email. You have to confirm the request by clicking a link. As soon as you do that, the portal will get your data. 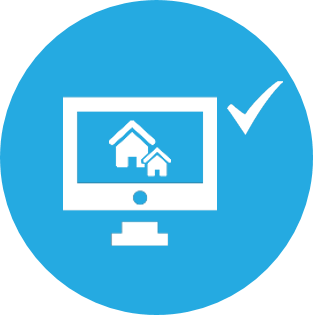 Please ensure the portal has been selected for the property via the portal tab in the property record. By now all should be looking familiar, you and your staff should be happily using Expert Agent. It is from this point that the real work starts. To help you get the best out of Expert Agent going forward do not forget about our comprehensive training and remember that our whole Support Team are here to help. 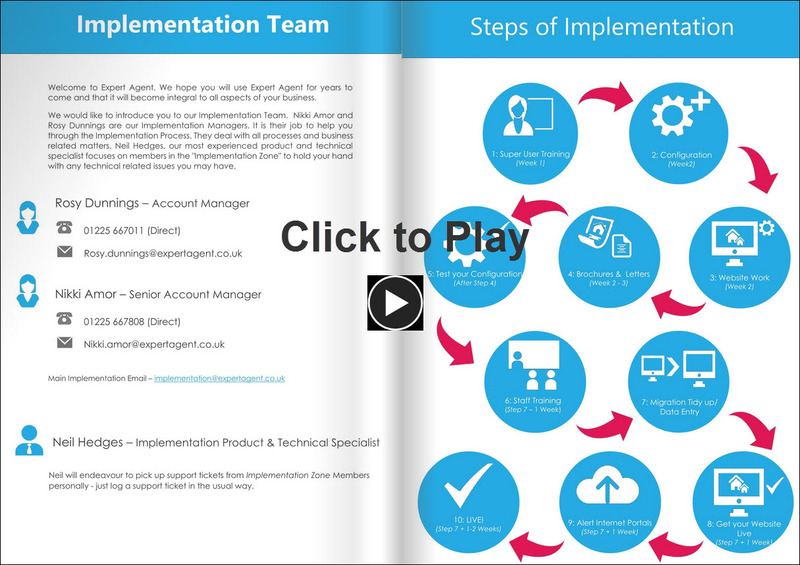 You can track your Implementation progress using Expert Agent's Implementation Planner Tool. Once you log into Expert Agent, you can access the “Implementation Planner” from the Tools menu. It shows you graphically your progress through the implementation process. When you have finished all the steps, it goes away and never bothers you again! 1. Each Step has a title, click on the arrow to expand the title. 2. We have a traffic light system to help manage the tasks. 3. Your implementation manager will enter guide notes for you in this box. 4. You can enter your own notes in this text box. 6. You can also track the date it was completed. 7. Click to expand other title. 8. Scroll to update, or close. There’s also a progress bar to show you how far to go.